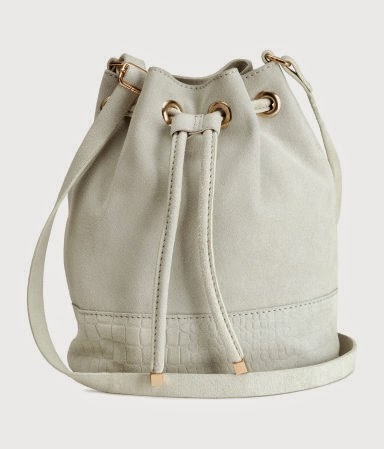 Anyways, this spring the tote, bucket and crossbody style bags seem to be the most popular. Thankfully, there are also a plethora of options for a variety of price-points AND the color choices are A-MAZING!!! The tote is my favorite style of bag. Likely because I tend to carry around way too much stuff. I need to be able to fit my wallet, water, phone, lipstuff, notebook (just in case) and some stuff for the little miss. Most totes accommodate my collection of 'purse necessities'. 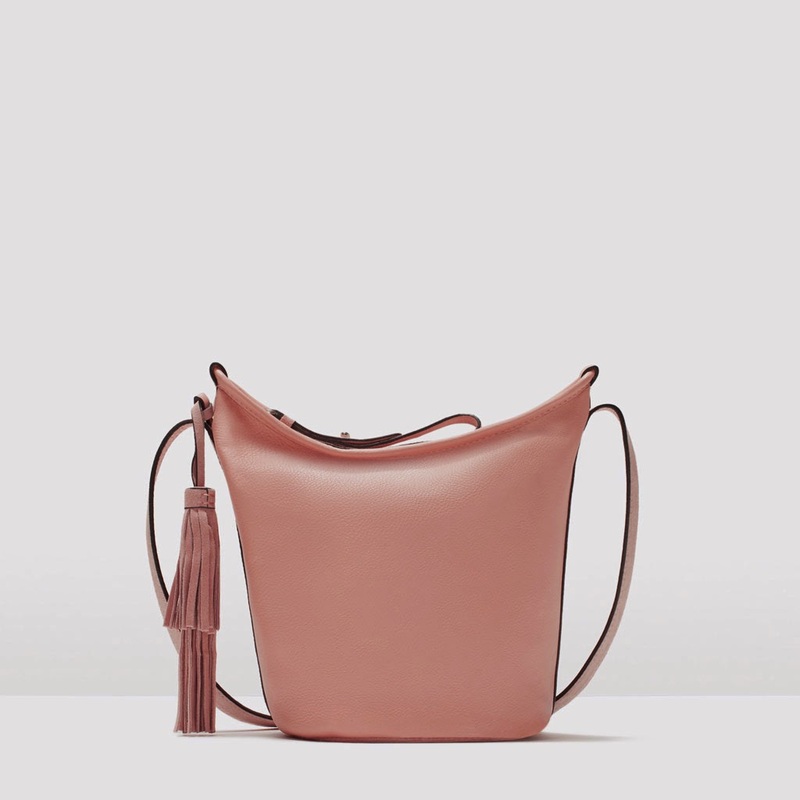 The bucket-style bag is everywhere. I am not completely sold on it for myself but I have seen some people pull it off well. A plus: like the tote, lots of room! This is your go-to bag when you don't want sore shoulders from carrying around everything you own. Perfect for a long day shopping, day at the zoo with the kiddos or concert. You can keep all you need close with little effort! Alright, you got me, this category wasn't found on any spring 2015 accessory list BUT that doesn't mean it's not super awesome. 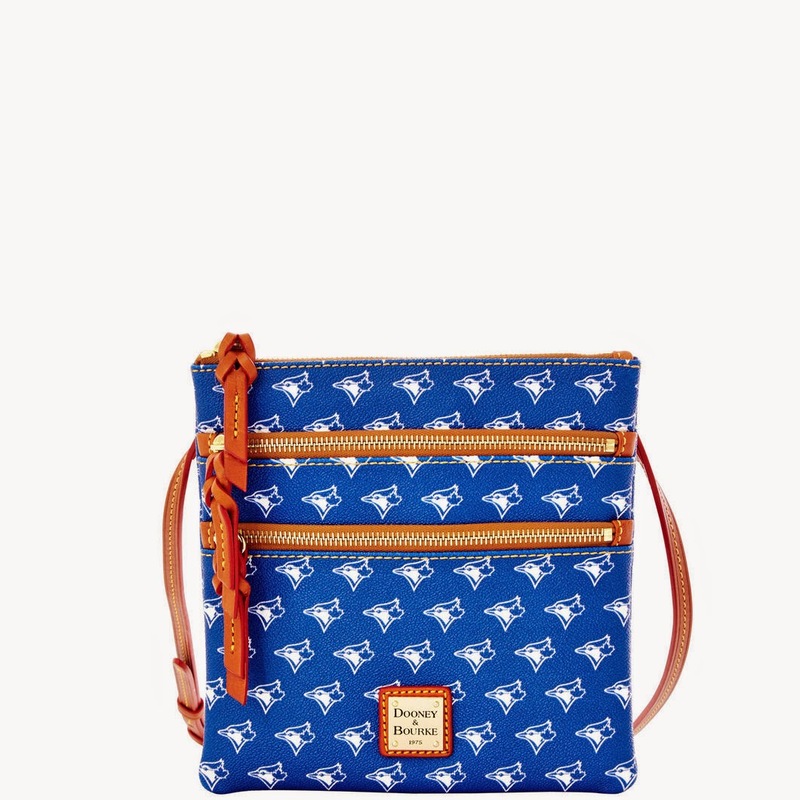 Did you know Dooney and Bourke have an MLB line??? Specifically, Toronto Blue Jays?? (for other baseball fans, they have other teams too). 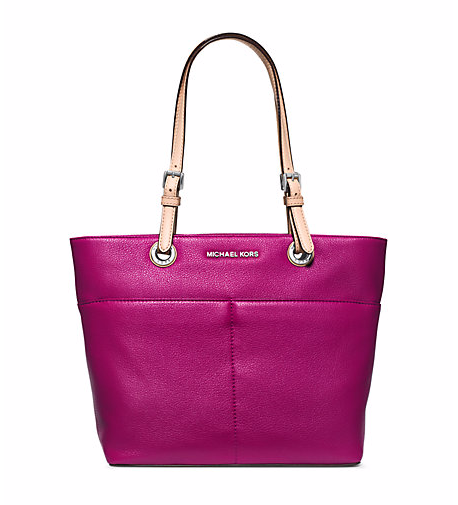 Gosh, Michael Kors can do no wrong in my book. I'm obsessed with everything MK. But I'm really diggin' that bag from H&M! lol I know, I laughed when he said it! He knows what trouble purse shopping means for our bank account! H&M had some great picks AND well-priced! I recently discovered totes and love them. I actually didn't know they had a name! I switch on the weekend though to a cross body to keep my hands free. I only recently started being a purse switcher to. Bit so many pretty purses.... It was bound to happen! I NEED to start being a purse-switcher! It'll mean less crap following me around everywhere! Great picks! 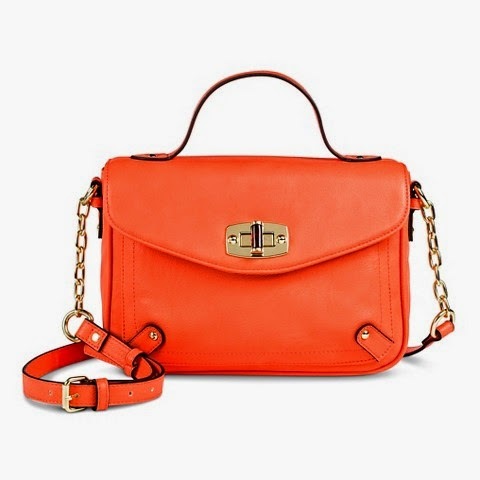 I love that bright yellow tote and the orange cross-body! the bright colors are so fun!! Now I just need an endless purse budget! I just saw a pineapple Tory Burch tote and I'm in love!! so fun, I love pineapple print! What???!!!! Where is the Blue Jay bag?????? I updated the post, just for you!! I really like that Zara bag. Ugh, I wish we had one here in Barrie! I would have to tell nick "no, it's not new, I've always had this bag silly!" haha, get off that site, so funny! You did good with your picks. 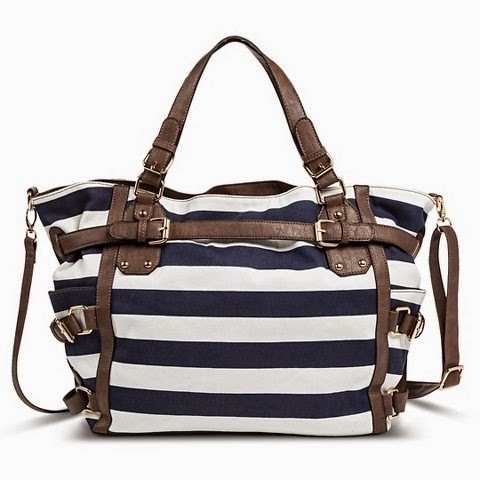 I actually like the Target Striped bag...but the pink MK bag, yes please! I know, I want them all!! thankfully, there are a range of pricepoints... definitely a must-have! Love them all! So different and all fabulous! I need a new bag, I'm sure of it. Thanks for doing the research for me! I love all the bright colors. 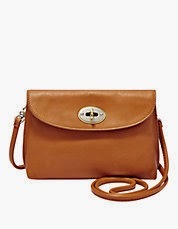 I have been searching high and low for a cognac tote that didn't cost too much. Every time I find one the color is off, so I have given up! 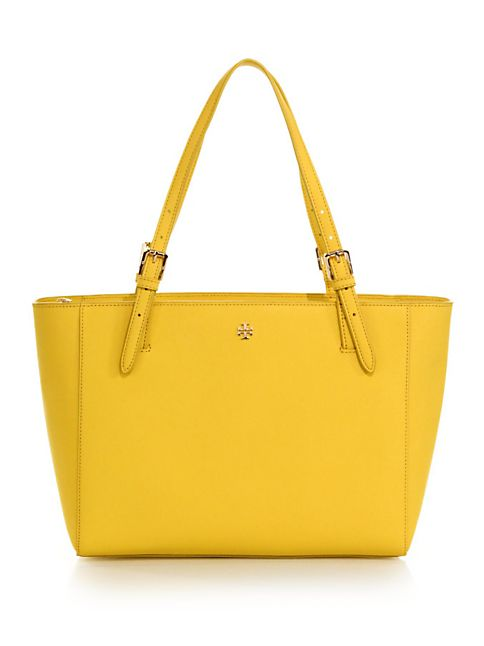 I did just get a white tote similar to the yellow one at the top for $7 at Walmart! I love it! And it wipes clean! Love all the ones you picked out! How do you decide between all of these?! I am dying for a Tory Burch, but Target has some awesome bags out right now. 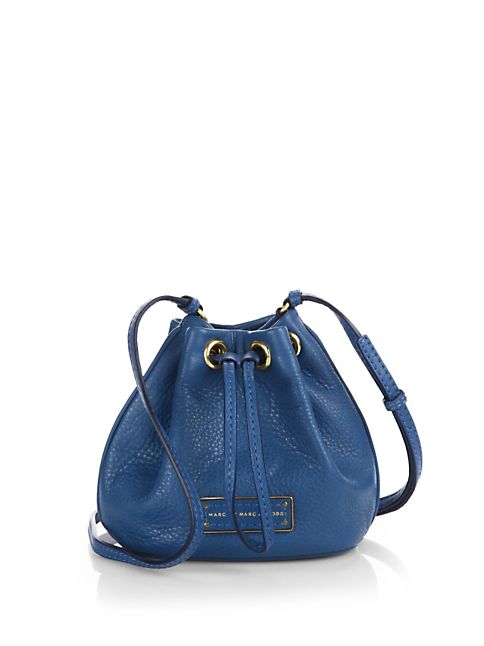 And I also really want a Rebecca Minkoff Leo clutch in light blue. You'll have to let us know what you choose! 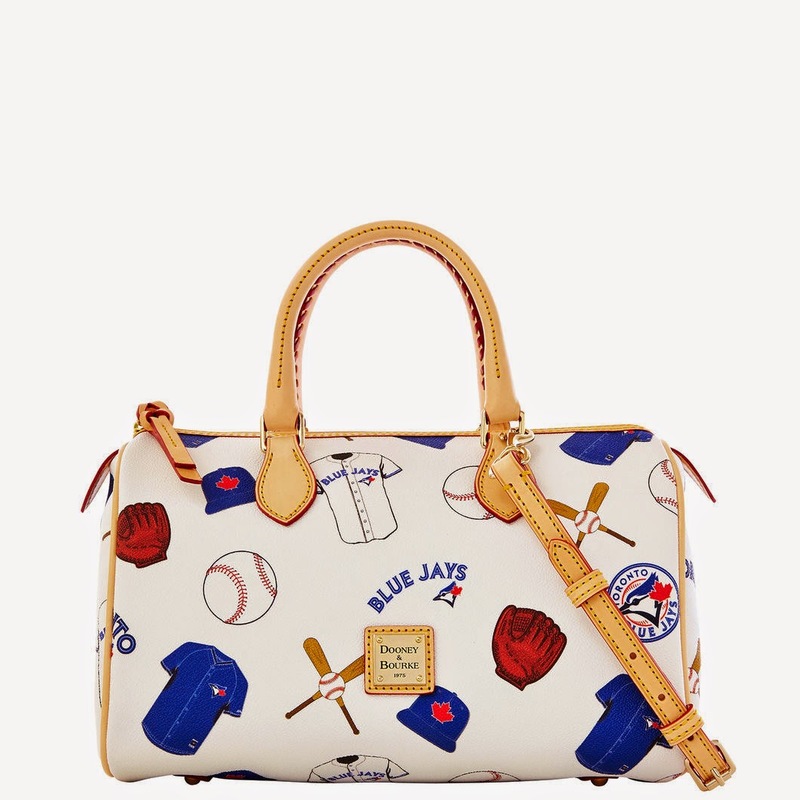 How cute, an MLB designer bag? 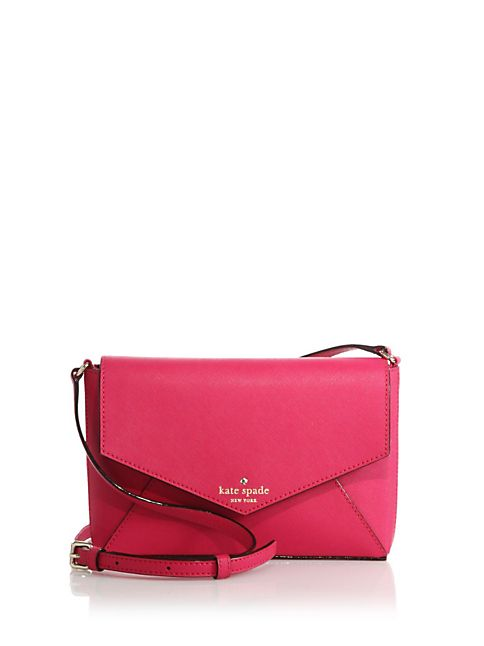 Finally, a purse that PC wouldn't mind holding for me when I run to the bathroom at the mall. Thanks for sharing.